For the last 22 years, the INVA Academy has been helping to adapt Russia’s disabled children to life through art. The work they produce is well appreciated and is often sold, while painting helps the children themselves to find meaning in their lives. RBTH visited the inauguration of one of the INVA Academy's exhibitions and spoke to its director. “Children with such conditions usually lose their sense of form,” he says, referring to the painting, which depicts a winter urban landscape, “but Misha is an exception. See how clearly he transmits form in this work." Philip Rysukhin, Misha Manukyan and many other children are students or graduates of the academy, an organization whose aim is to help children with disabilities find meaning in life through exploring art, mainly through painting and icon painting. The exhibition has been organized to coincide with the conclusion of the UN Invalid Decade and is housed in the Russian Trade Industrial Chamber. One wall has paintings dedicated to war. There is a painting titled A Fascist Flew By featuring a downed German plane, portraits of veterans in parade uniform, battle scenes: Disabled children paint war just like ordinary Russian children. On the opposite wall are icons with the severe faces of Christian saints. The INVA Academy is closely associated with Orthodoxy. "Rehabilitation comes through creativity and spirituality, through faith," says Galkin. In 1993 Galkin and his wife established a small children's art studio in Krasnodar (around 800 miles south of Moscow) and, as he says, "we didn’t think back then that we'd be working with the disabled." It all began with one student for whom the studio’s assistance proved to be a real help. As the number of children increased, Galkin's studio gradually began working exclusively with invalid children and eventually changed its name to INVA Academy. It organizes courses for children with a broad range of disabilities: amputees, the intellectually disabled, those suffering from various syndromes and complex internal illnesses. In its years of work the academy has managed to prepare several thousand graduates and hold about 1,000 exhibitions of its students' work. The academy tries to take care of its graduates throughout their lives: It helps them enter artistic institutes, develops their talent and some of the young people even become professional painters and open their own studios. The academy has branches in 14 Russian regions and has seven workshops where the children not only evolve artistically but can also earn money from their paintings. The academy organizes master classes and roundtables with teachers and students for exchanging teaching methods. However, the academy does experience certain difficulties: It is not capable of helping each student. Some children, despite their talent, are not able to overcome their illnesses. There is also the psychological pressure of being disabled, as well as logistical problems with the premises. The first time the academy's students went abroad was in 2000, when an exhibition of their work was organized in Germany. 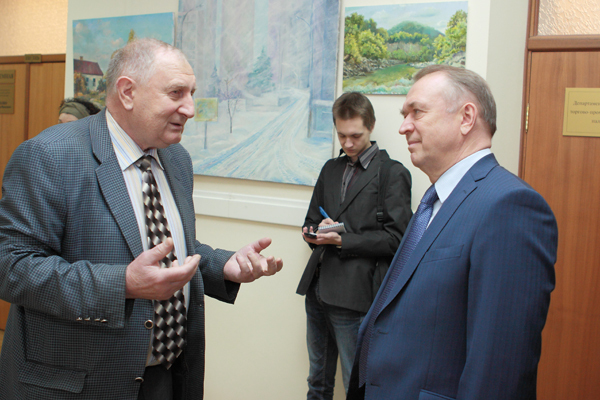 "It was a great success there and a few years later we were invited to exhibit our paintings in France," said Galkin. In Paris, Vladimir Spivakov, a renowned Russian musician, noticed the INVA Academy and helped it organize events in various other countries, including Finland, Belgium, Switzerland and the Vatican. The INVA Academy also collaborates with foreign organizations working in the field of rehabilitating the disabled. For example, in 2012, in collaboration with the Rashid Pediatric Center in Dubai, the academy held a master class for emigrant children, as well as a large exhibition. The students' works are quite popular abroad: Icons made by the children now decorate Orthodox churches in Turkey, Brussels and Los Angeles.